For example, when customers bought cameras, they probably bought SD-cards for the cameras in the next transaction. This type of algorithms are widely used in online e-commerce websites like Amazon etc. But these algorithms have few disadvantages 1) These algorithms suffer from Data Sparseness 2) These algorithms do not consider historical purchase data. So its hard to generalize the patterns to new products and users in real recommendation tasks. ApriorALL, GSP, SPADE are some of the mining algorithms designed for mining frequent sequence of products. These type of algorithms are used in Netflix applications. One of the traditional user centric algorithm is Collaborative Filtering. It is basically used to analyze customers historical purchase data. One of the major drawback of this algorithms is that customers purchase evolve over time i.e. A customer is likely to purchase candles and cakes around his/her birthday, while he/she may be interested in electronics products in other days.Traditional Collaborative Filtering failed to recognize this. These types of algorithms gives recommendations based on customer’s general interest and it’s hard to capture the sequential purchase behaviours of customers. Collaborative filtering rarely influences customers temporary interest to customer next purchase. This limits the accuracy of prediction. This new approach leverages the correlation between products and correlation between customers. Basically, there are three steps involved in this approach. First, We need to apply Sequential Pattern mining methods to massive transactional data to obtain purchase sequential pattern — which will be represented by product-product matrix. Essentially it captures sequence behaviours of customers. Second, Customers historical purchase behaviours are obtained using one of the User centric algorithms like Collaborative Filtering — which will be represented using customer-product matrix. Finally, these two matrices are simultaneously factorized (like Matrix Factorization or any other new methods) to learn low-dimensional representations of both customers and products — Using those learned representations we can give good recommendations to our customers. By mining and factorizing global sequential patterns — avoids data sparseness. By factorizing product-product and customer-product matrices simultaneously — it exploits both sequential and historical behaviours to learn better representations. 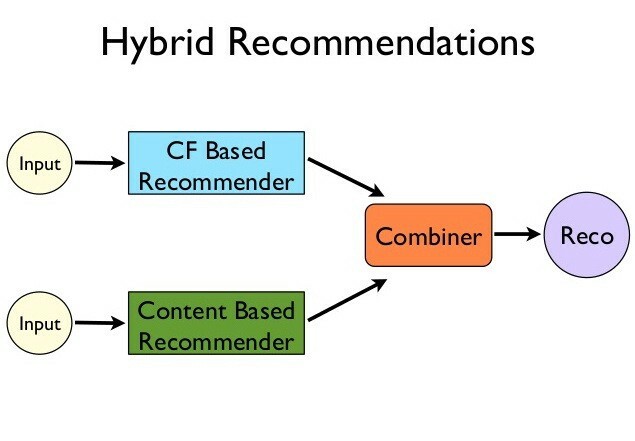 By using Hybrid Recommendation system — we can have the edge of using both user-centric and item-centric paradigms. I hope this article helps !